DJ, Songwriter, producer and remixer, Numa Lesage is a complete artist. Born in October 1982 in Lyon, France. It is cradled by Jazz and Classical music, being small, he plays piano, guitar and drums. Growing up he discovered house and techno. Influenced by artists such as Laurent Garnier, Daft Punk, Motorbass, Carl Cox, A few years later, he began the radio and start to spin. After finishing his marketing studies and an intensive work on his first MKII, Numa began his career in 2003 when he joined the school of Dj UCPA in Lyon. After this training where he completed major coupon, his personality and musical style allows it to grow up very fast on stages like the Winter Music Conference (us), Miami Music Week (us), Amsterdam Dance Event (nl), The Night Sounds (en), Lake Parade (Ch), SpringBreak (Es), and many others, in different European countries let’s take a look on this annex). For several years he was resident in many clubs in Lyon, Geneva, Saint-Tropez and some radios in France including the famous one: Paris One radio, where he spin on his show "We Can Dance". During this period he also worked in a record shop in the capital Gones "Scud Import". In 2010 he created his label "InStudio Recordings" an electronic music label (Deep, House, Techno) with a friend Mlle Eva, and produced several artists in Europe and the USA. That same year, he released his first album "Superposition" allowing it to move into the American golden triangular (NYC, Las Vegas, Miami). Representative of The French Connexion with Flowfly, Chris Garcia, Fabian Arche, Fred Pellichero. It is in 2011 that he became resident in Miami for more than 3 years. It produces several title like "Sensation" and "Claire de Lune" supported and playlisted by the greatest. Remix and also some of them. (Solomun, Guy J, Guy Gerber, Monika Kruse, Francesco Farfa, Nicole Moudaber, Hernan Cattaneo, Henry Sais, Sacha, Dope ...). 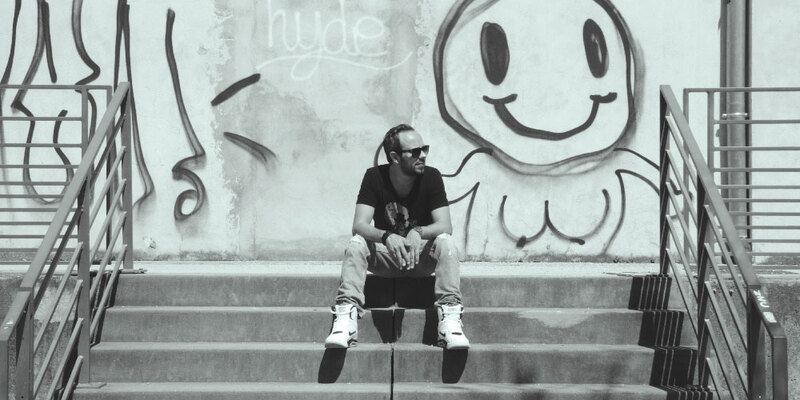 On his return to France in 2014, he founded "Scratchin Records" with Fred Pellichero, an EDM label. In the same time, he forms "The molly guys" with Clement Chazalon a techno duo project. They signed ours tracks on many label like a Check in Recordings, Session Club Play this! ... And of course on InStudio. Currently in Europe, for the preparation of his second album, he spends most part of his time in his studio at Lyon and develops collaborations on new projects. The release of a compilation in June 2016 InStudio Ibiza 2016 by Numa Lesage. New album "Simple Nature” expected early 2017, with the first title released in the end of 2016. It will golds already present for Miami Music Week, the SpringBreak and Amsterdam Dance Event. 2018, Actually in studio, working on a new album for the end of this years and on a few new track with the the molly guys. "Starting from a classical, I was influenced by black music culture very soon and then I discovered the Techno and the movement of the French touch. Currently I evolve in a popular underground musical movement, an electronic music between Deep House and Techno. I like several musical styles: Detroit techno through the New York house, electro pop culture of the French touch … Artists who have given me want to do this job: Laurent Garnier, Carl Cox, Bob Sinclar, Erick Morillo. Current artists that inspire me: Guy Gerber, Maceo Plex, Agoria, Jamie Jones, Paul Karlbrenner, Martinez Brothers ... "
Numa Lesage - N A T U R E S I M P L E (Instudio Recordings) - Album. InstudioRecordings / ScratchinRecords / 380 Entertainment / Check In Recordings / House Sessions / RE:Vibe Music / Recovery House / Play This Records! / Universal Music / Scorpio / Tullido Records / RH2. (Instudio Recordings I Checkin Recordings I Scratchin Records) - © Lesage Entertainment 2018 - #Tracklists here.